The international break seems to have done well to Rafael Benítez's men, as Real Madrid walked over Espanyol at the Cornellà-El Prat stadium and returned to the capital with a 0-6 win in the bag. Cristiano Ronaldo stole the headlines once again, by finally bringing his goalscoring drought to an end with a 5-goal show in today's game! Florentino Perez was probably right, €1 billion probably wouldn't be enough. Is Ronaldo declining? 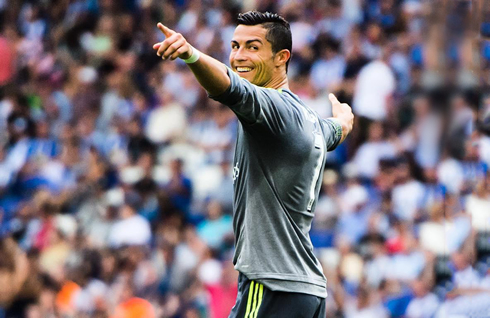 Well, let's just ask Espanyol... After not scoring in his first two games of the La Liga campaign this season, Cristiano Ronaldo made up for lost time or should we say lost goals, by banging in five against Espanyol as Real Madrid romped to a 6-0 victory against the Catalan side. The Portuguese star was clearly hungry for goals and he made Espanyol pay for his quite unusual scoring drought this season. A clear win from Rafa Benítez's men, who can now start preparing their debut in the UEFA Champions League next Tuesday, at the Santiago Bernabéu against Shakhtar Donetsk. Real Madrid and Ronaldo wasted no time getting off the mark. In the 4th minute, CR7 latched onto a lofted through ball from Luka Modric, brought it down and placed it into the corner of Pau Lopez's net. 1-0 Madrid. 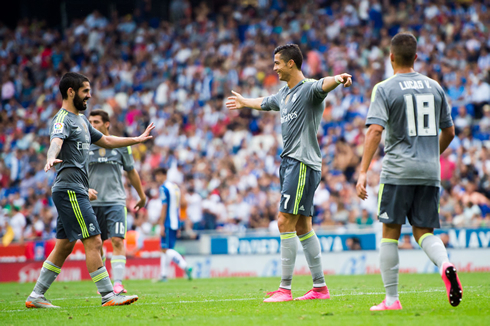 Ronaldo would get his second from the penalty spot in the 17th minute, after Gareth Bale was bundled over the in box. 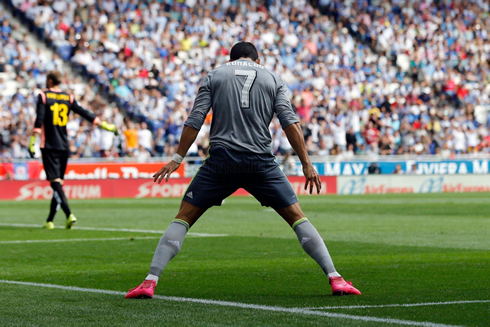 Ronaldo's perfectly placed penalty just went past the outstretched arms of Lopez. And it would be a hattrick on 20 minutes. Gareth Bale's excellent left-footed cross would meet the foot of Ronaldo, who hit it in off the volley from the six-yard box. At this point, Madrid were flying and Ronaldo in particular seemed as dangerous as ever. Soon after it would be four, with Bale again pulling the strings (he really deserved a goal on the day, the man of the match outside of Ronaldo). The Welshman broke free in center midfield before playing a pass through to Ronaldo. The former Manchester United player then looked up and squared the ball brilliantly across the box for a waiting Karim Benzema, who easily finished off the move. 4-0 for the men in grey and the BBC was back! Ronaldo would get his 4th and Madrid's 5th after the break, in a move that resembled the counter-attacking moves of 2012. Bale again, at the heart of the move broke away from just outside the Madrid box, outsprinting most of the Espanyol defense and midfield. He played a quick exchange with Isco, while doing well to remain onside, before centering to a waiting Ronaldo. Last season's pichichi winner easily buried the strike. Lucas Vasquez would put Ronaldo's 6th on a platter a few minutes later. Vasquez, who spent last season at Espanyol, was brilliant in his time on the pitch, bamboozling his former teammates and looking dangerous throughout. Some good work on the wing allowed him entry into the box. Looking up he found Ronaldo, who was again in the perfect position to score. It would be the second time this year that Ronaldo has scored five, after he initially completed the feat against Granada nearing the end of last season. The Portuguese has now become Real Madrid's all-time top scorer in La Liga with 230 goals, already two more than Raúl's previous record. Other points from today's match: Benitez rotated well giving Toni Kroos the day off and allowing the likes of Pepe and Casemiro to play from the start. Benitez also did well to make early subs. Modric came off quite early for Kovacic and both Ramos and Benzema were also given an early rest. Keylor Navas was excellent in goal, making timely saves and keeping Madrid's early-season clean sheet record intact. After all the drama of the transfer window's closing day, it's good to see the man they call "the spider" is still at his highest level. It was a great game all around. Real Madrid have become a defensive juggernaut and the attack finally looked fluid under Benitez. Now onto the UEFA Champions League! 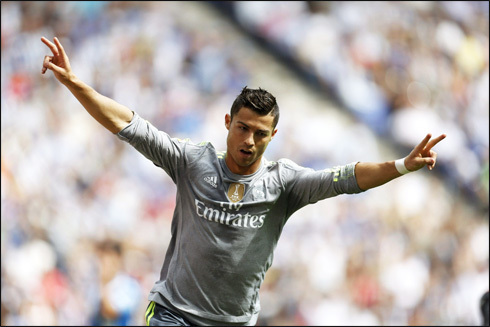 Cristiano Ronaldo next game will be for Real Madrid, on September 15 of 2015, against Shakhtar Donetsk. You can watch Juventus live stream, Real Madrid vs Shakhtar Donetsk, AS Roma vs Barcelona, Leicester City vs Aston Villa, Sunderland vs Tottenham, and Hoffenheim vs Werder Bremen, all matches provided from our sports live game pages.